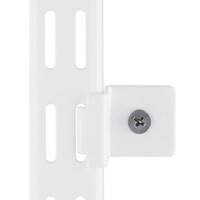 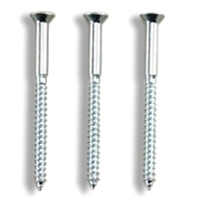 Screw the top track to your wall and simply clip the vertical wall bars into the top track. 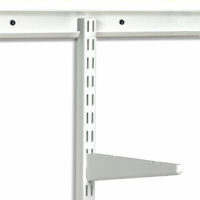 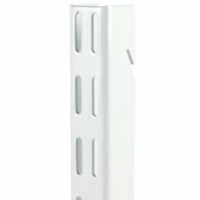 Insert brackets, shelves and clothes rods simply and without the need to pepper the wall with holes. 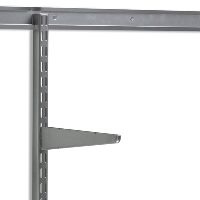 The top track is the only component that requires fixing to the wall when creating an entire elfa solution. 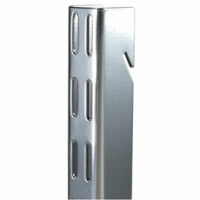 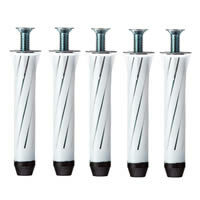 Our Elfa top tracks can be screwed next to each other for additional length or easily cut down to suit your space. 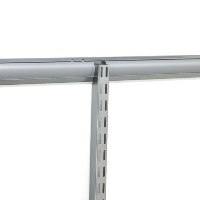 Offered in 1.95m, 1.35m and 1.05m lengths as standard.